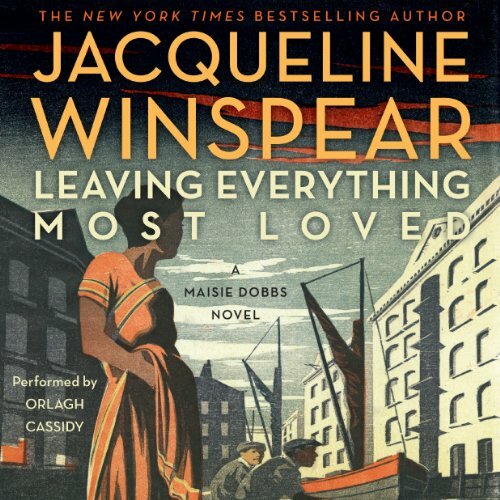 In Leaving Everything Most Loved by New York Times best-selling author Jacqueline Winspear, Maisie Dobbs investigates the murder of Indian immigrants in London. Winspeare said that this was book was going to change the entire playing field and the woman did not lie. She changed almost everything we were familiar with over the course of the book. I have loved every one of these stories even when I got a little annoyed with the character of Maisie for clinging to tightly to her past and not moving on as fast as I thought she ought to. I am no longer annoyed. Plus she managed to change everything while leaving all the bare bones of the series firmly in place. This book just came out and I am already wishing for the next one. And as for the mystery, I didn't figure it who-done-it until the very end. I absolutely love twisty mysteries and this one had a grand twist at the end. The book reminds us that regardless of how much we want to see Masie and James wrapped in each others arms Winspeare is a mystery writer and any romance that floats by is strictly secondary and is meant to advance the plot only. I grew up watching Perry Mason mystery in the early days of TV and my brother and I competed every week to see which one of us could figure out the Grand Denouement first. I'll admit I had an advantage over him for a while because whoever casted the shows had a weakness for weak chins and all I had to do was look to see which character had one and I had the killer. But eventually he figured this out for himself and I had to fall back on thinking which is not usually my brain's default position. And I say this in every review that I write for the Maisie books. Winspeare is probably better than any other writer of mysteries set in this era. 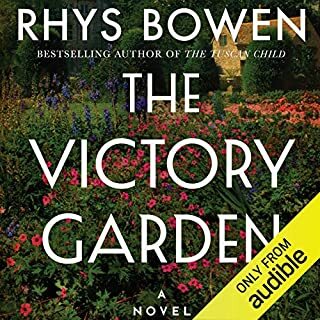 She does such a good job of setting the atmosphere of time and place that the reader is left as fly on wall as they experience the story in whatever format they have chosen. And, as a personal note to whoever reads this comment. I know I am sounding a little gushy but if you have read any of my journal entries in the past you know that I pretty much call them as I see them. It has gotten me quite a few negative votes on amazon and a few on audible. But happily I am not running for election to anything and I paid for my book and am not obligated to write a positive review for anyone so I will continue always to call them as I see them. I have loved this series! Maisie Dobbs remains an admirable commentator on both the difficult and admirable social changes taking place in Post-WWI-Britain. This book is no exception, in that it deals with the post-Empire immigration struggles which brought new vitality but also often-resisted change to all of Europe's countries. That said, Maisie has alas become a very predictable character. Her ambivalence about her relationships, her origins, and her wealth are becoming a bit stale. This once intriguingly different woman is too often now just too good to be true. And the increasingly syrupy narration of Orlagh Cassidy has not helped. I hope the ending of this addition to the series foretells a vibrant, new direction for Maisie. The 1930s are advancing, and all her readers know what is coming for Britain within the next decade. Here's hoping Winspear returns to form as WWII approaches! 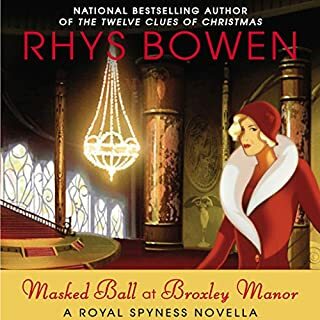 It is 1933 and Scotland Yard Inspector brings to Maisie an Indian man who just arrived in London from Bombay to discover who killed his sister Usha Pramal. Major Pramal was also referred to Maisie by Dr Khan. Usha was working in England saving money to open a school for disadvantaged girls in Bombay. Maisie is at a turning point in her life. James has asked her to marry him, but she is an independent woman with her own business and is reluctant to give up her personal freedom to be a wife of a rich titled man. She has a yearning to travel abroad but first she has to find a murderer and find a missing 14 year old boy Robert Martin. Winspear provides us with an excellent picture of England in 1933. She points out the racism in England. Women were gradually finding their way seeking higher education, establishing themselves in profession that had formerly been closed to them. The novel is suspenseful, literate, evocative, moving and engrossing. Orlagh Cassidy does a great job narrating the book. I hope this series continues. As much as I have liked this series, I felt like I had wasted 10 hours with this one. I found Maisie very annoying. The story was good but the last part of the book, the retrospective, was tedious and Maisie's reluctance to commit to James (or not) almost caused me to give up on the book. 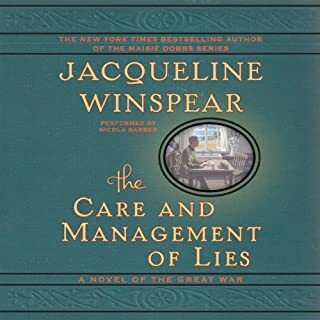 Would you ever listen to anything by Jacqueline Winspear again? Yes. I'm looking forward to the book due this year (which is not a Maisie book) and I will probably read the new Maisie series starting in 2015. At least I'll give it a try. The earlier books were very good and I enjoyed them a lot but I ended up getting very frustrated by Maisie's personal life. I've always like Maisie and James with Priscilla's boys. Did Leaving Everything Most Loved inspire you to do anything? 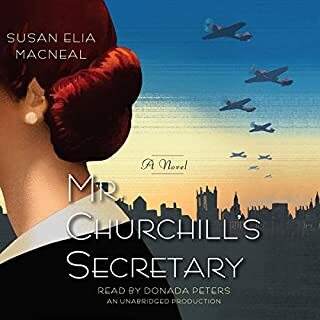 Winspear tends to be quite repetitive when she is sitting in Maisie Dobbs' head, having a cup of tea. Maisie frets and frets, worrying about marriage, not marrying, the dark mists of war, her dear old dad. It gets very tedious. And in the hands of this narrator, it devolves intyo treacle, running down your ears. Far better are her character profiles, and her evocative descriptions of London society at the time. Stay focused on racism in London society, how India viewed its relationship to the Britain. The anxiety about the next war. Make it a genuinely historical novel not the ruminations of a 30-something introspective fretter. What didn’t you like about Orlagh Cassidy’s performance? She chirps and breathes like an ingenue when reading passages about Maisie's inner thoughts. Yuck! Remember that series you enjoyed? The one whose story you and many other fans hoped would go in a particular arc? The author finally heard you! She was pissed, and she intentionally blew up her series in response. This is my only explanation. This book reads as revenge against a person (that's you, dear reader, who have invested in her last twelve books!) who has very much angered and wronged the author. You wanted a happy ending? She will take that ending and shred it torturously to pieces before you, so that you may view each hideous twist of her knife. You are then permitted to view your happy ending's steaming carcass and attempt to squint at it sideways so as to retrospectively enjoy the five seconds of happiness the characters got. The author thanks you for your patronage all these years. What did you love best about Leaving Everything Most Loved? M. Dobbs and her family. All the new characters were so fascinating. Have you listened to any of Orlagh Cassidy’s other performances before? How does this one compare? I listen to almost every book she has narrated. She's the best!. When Maises says goodbye to her lover. I thought is she ever going to marry him? but on the other hand can not wait for the next book about her travels. Have read all of Winspears books and traveled several miles to her speak in Corte Madera, CA last year at a book signing. She's one of my favorites. A lovely lady who writes about my favorite time in history.. Loved this book and Maisie's developing personal dilemmas with wealth, with love, with her own self-definition. Either this is a wrapping up book (I hope not!) or this book is setting up some changes for future books. Leaving Everything Most Loved has a nice summary of all her cases at the end - but not the type that gives them all away. This seems to indicate the end of an era for Maisie. One note: do not listen to this book before Elegy for Eddie. (I made that mistake.) This book gives away the person responsible for happenings in the previous book. Usually it doesn't matter too much to skip around a little bit with a series, but this one flows better if you don't - especially because of the parallel story of Maisie's personal life. 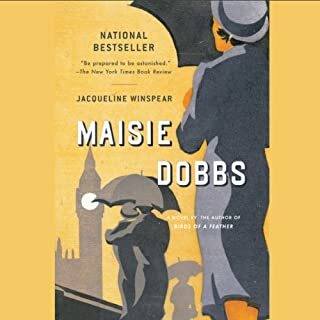 Maisie Dobbs is back-- and with her, we are carried back in time, and we see into the motivations of others in a way that is not possible in every day life, and we delve into the lives of her friends, family, and workmates. This book is perhaps the most uplifting of the series. Maisie is in a good place, and she is still motivated to learn, to grow, to help others. She explores a mystery around an Indian woman's death, and so while trying to learn about this one woman, we explore Indian women in England. I am looking forward to the next book. I so enjoy the world Jacqueline Winspear has created for Maisie Dobbs. Without fail, she always draws me into Maisie's life as if it were my own. Every book teaches me something new about the life and times of the woman detective. This newest addition to the series delves into the lives of those who traveled from the Far East to England. Usually brought as nanny's to tend the children of wealthy Englishman. 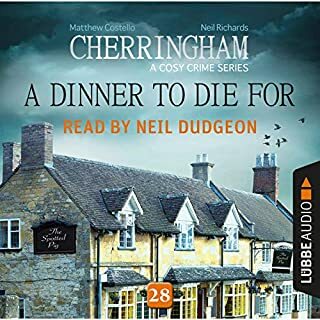 In order to solve the murder of one of these women, Maisie must learn about the cultures and customs of India...and also decide if she would like to visit them in their country. For Maisie is still conflicted about her purpose, and whether she wants to marry James. As always, Orlagh Cassidy is a fantastic narrator! So glad she has narrated the entire series. The consistency and her talent definitely contribute to the experience. I will be meeting Jacqueline Winspear next week at a book event! Can't wait!